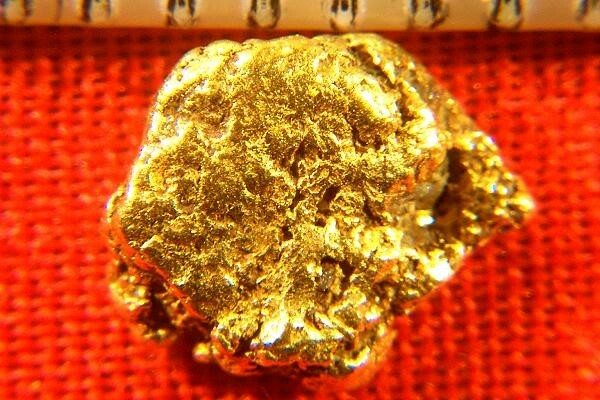 The Yukon Territory in Canada is where this gold nugget was found by a prospector. The weigh is 11.3 Grains (0.73 Gram) and the size is 5/16" (8 mm) long. It is a fat and chunky gold nugget with very nice color with just enough texture to give it sparkle. Yukon gold is very high purity 22KT to 23KT . 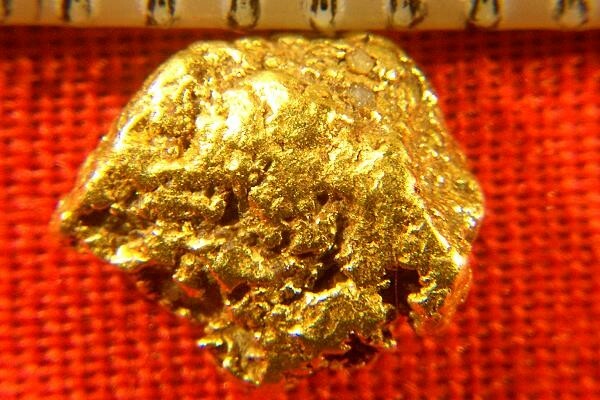 Add this beautiful gold nugget to your collection or give it to someone as a gift.